Cut tips from 6 asparagus, 1 1/2 inches from top and reserve for garnish. 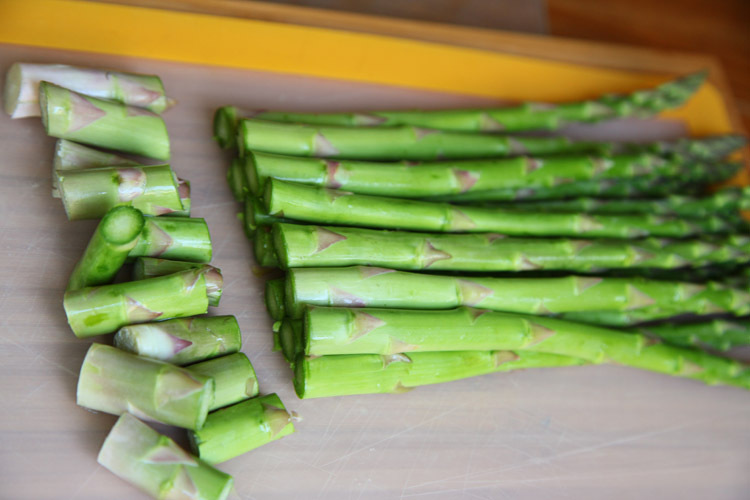 Chop the remaining asparagus stalks. 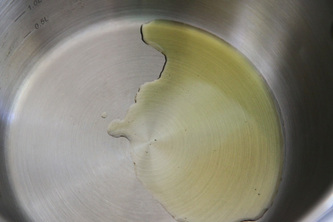 Heat olive oil in a soup pot at medium heat. 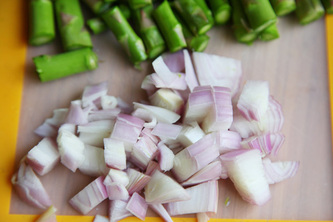 Add the shallot and cook for about 3 minutes, stirring occasionally. 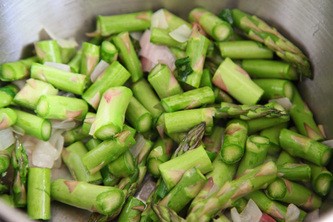 Add the chopped asparagus to the shallot. 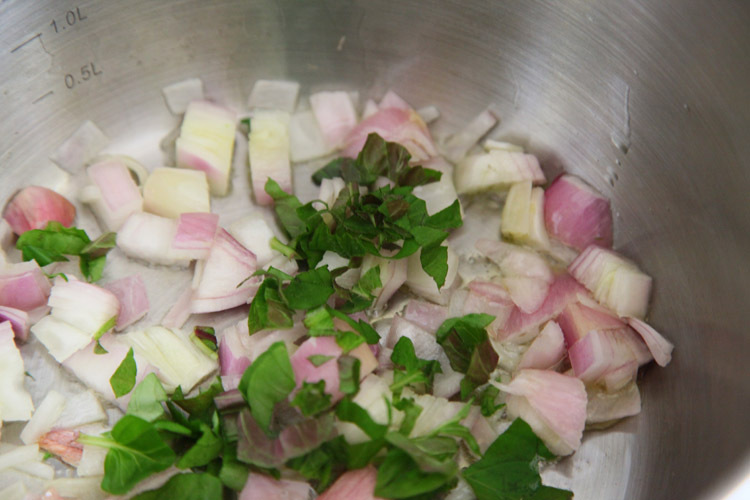 Sprinkle with salt, pepper and mint and cook another 3 minutes. 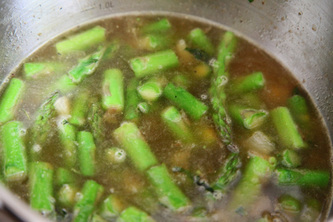 Add broth and bring soup to a boil, then reduce to a simmer. Simmer until the asparagus are tender, 12 to 15 minutes. 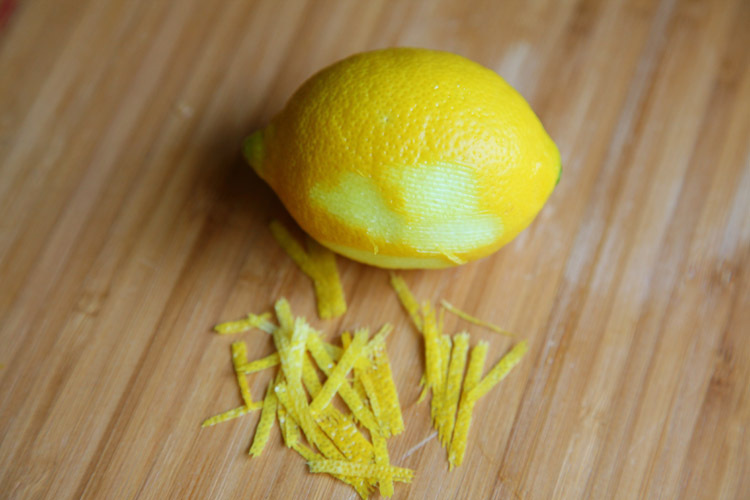 At the end of cooking, stir in the lemon zest. 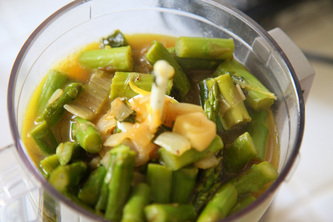 Puree the soup until smooth with a hand blender or in a food processor. 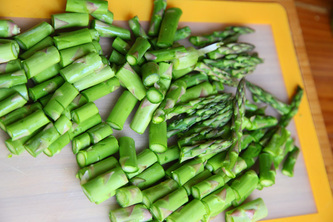 Blanche the asparagus tips in salted water for about 2 minutes, drain and rinse with cool water to stop the cooking. 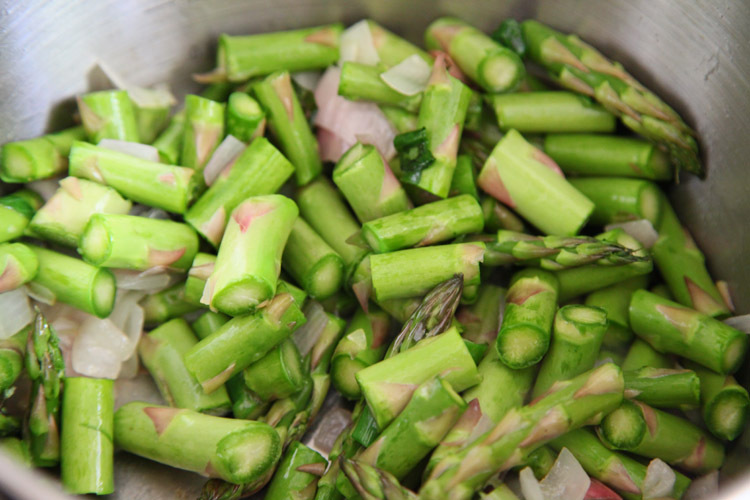 Garnish with asparagus tips and hard-boiled egg. 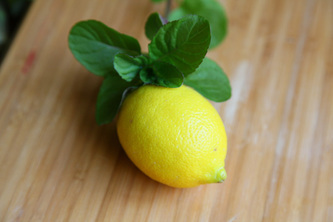 Also, you can add another 1 tsp of finely chopped mint and another 1 tsp. 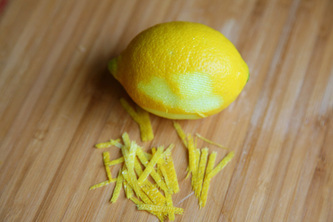 of lemon zest.